Erik became interested in traditional music and dance when he returned to his home town of Santa Barbara in 1980. 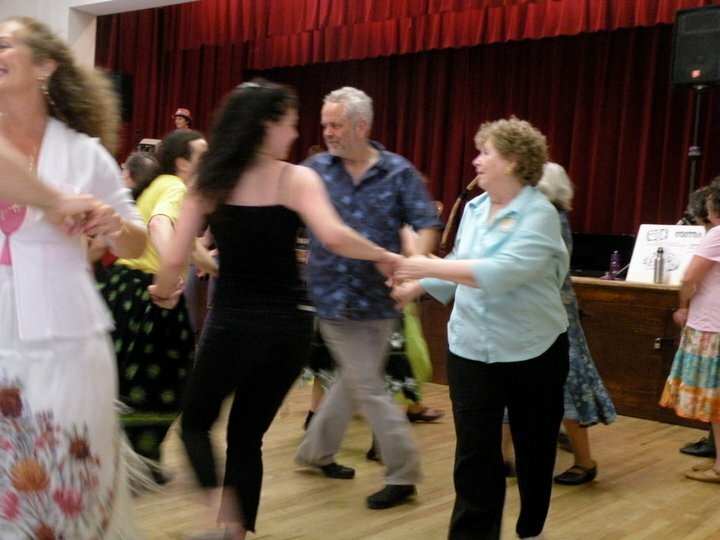 Friends dragged him to the contra dances, and he became addicted. In 1985 he called his first dance. Then when San Luis Obispo wanted to start a monthly dance series in 1986, Erik started commuting to that lovely town from his then home, Santa Barbara, as their regular caller. That dance series continues strong and fun. In 1987, Erik took up the fiddle. 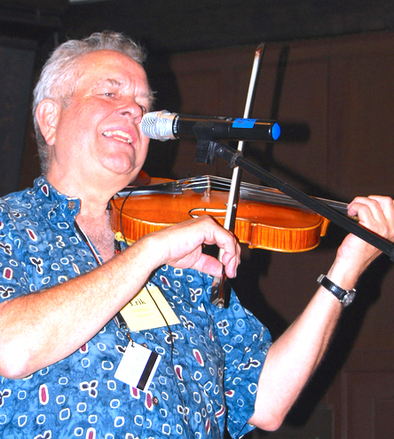 Three weeks later, on a dare, he competed in the Santa Barbara Old Time Fiddle Contest and won third place, and the following year he place first in intermediate fiddle. In 1990, Erik came in third in advanced traditional singing. In 1994 he moved to the San Francisco Bay Area and spends his time these days calling Old-Time Country Dancing, playing music (fiddle, guitar, voice, mandolin, bodhran, and other odds and ends), and tutoring math. He also participates in organizing and calling the Berkeley Contra Series, and enjoys leading dances for families and children. Erik loves the spirit and joy that is passed along with traditional music and dance, and loves to share his enthusiasm. Erik is a talented, fun-loving teacher/caller/musician and long-time valued member of our Folklore family. He has been on our teaching staff many times over the years and we look forward to dancing many a contra with him this summer!